This antioxidant-rich spice boasts major skincare benefits. Everyone wants to eat healthy, but not everyone knows where to start. Whether you're trying to lose a few pounds or looking for an extra energy boost, food is the foundation of positive results. To help you navigate the grocery aisles, we're starting Health Foods 101 and breaking down popular ingredients, why they're good for you and how to eat them with the help of experts. Up this week: paprika, according to nutritionist Paula Simpson, RNCP and the Creative Director behind ZSS Skincare. 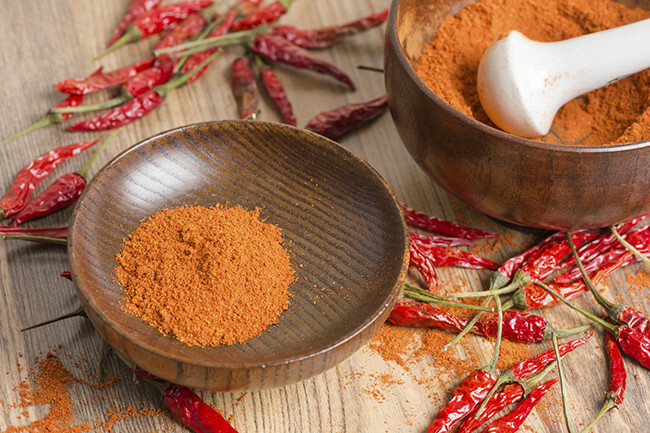 Paprika is a spice made from grinding dried sweet pepper or pimento pepper. Sweet paprika is usually made from only the dried flesh of the pepper, while hot paprika may include the veins and seeds. "Paprika is a very good source of antioxidants, including vitamins C, E and four carotenoids: beta-cryptoxanthin, beta-carotene, lutein and zeaxanthin," explains Simpson. All four carotenoids help prevent cellular damage. Out of hundreds of carotenoids found in nature, the human body can only absorb less than 20. "They must be obtained through the diet or supplementation, as the body cannot produce them," she continues. On top of those antioxidants, paprika's long list of good-for-you properties includes dietary fiber, magnesium, riboflavin, iron and potassium. 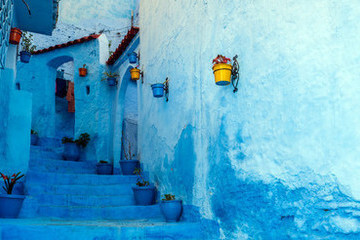 "Our skin's antioxidant network becomes sluggish with age," says Simpson. "Incorporating key antioxidants through diet and supplementation can support a healthier rate of skin aging." Zeaxanthin is especially worth noting for skincare, since it lessens the inflammatory response of skin exposed to environmental stressors. It also promotes skin tone so you get a healthy glow. Simpson suggests combining paprika with other spices for a health-packed meat rub, or add it to hummus or homemade bean dips and salads. You can use it to season soups, stews or purees and also sprinkle it in rice, sauces, eggs, steamed vegetables and even popcorn (bye, butter!). A typical meal recipe calls for about 0.5 teaspoon to one tablespoon. Keep in mind that one tablespoon paprika provides about 1,000 micrograms of zeaxanthin and lutein. Now that you've learned the basics, try this scrumptious recipe from Simpson to start incorporating paprika into your diet. Cut the chicken breasts into kabob sized cubes and place into a container you would use to marinate, such as a gallon sized ziplock bag. Mix the olive oil, lime juice, honey, smoked paprika, salt and pepper. Pour that over the chicken and marinate it for a couple hours—ideally overnight. When you are ready to cook the kabobs cut up the onion and bell peppers into bite sized pieces. 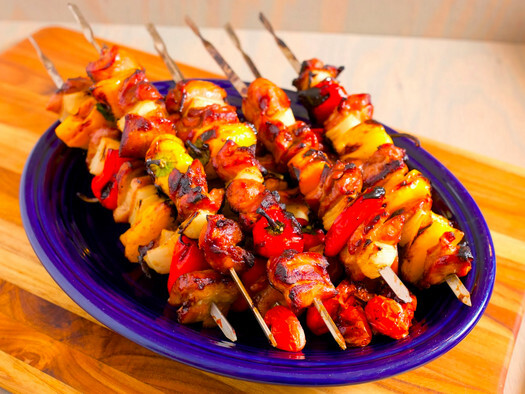 Place the marinated chicken, onions and peppers on skewers. Grill on medium heat for 6 to 8 minutes, then rotate and cook for another 6 to 8 minutes or until the chicken is cooked all the way.